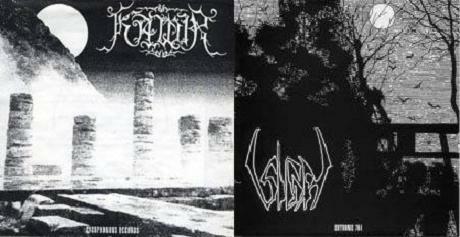 Kawir is a greek black metal band with their musical focus being focused on greek paganism. 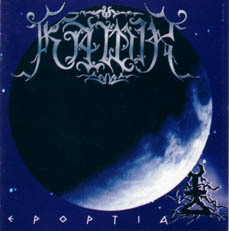 The band was formed in 1993 by Mentor the guitarist/vocalist (now known as Thertonax) and Necroabysious (at the time vocalist). They quickly recorded a 7" split with Sigh. At this time Archemoros and Hephaisteion joined the band. On their recording of their mini LP drummer Nick joined. In 1999 Nick and Archemoros left the band.